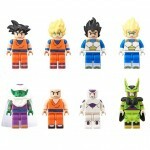 Check out the Dragon Ball S.H. 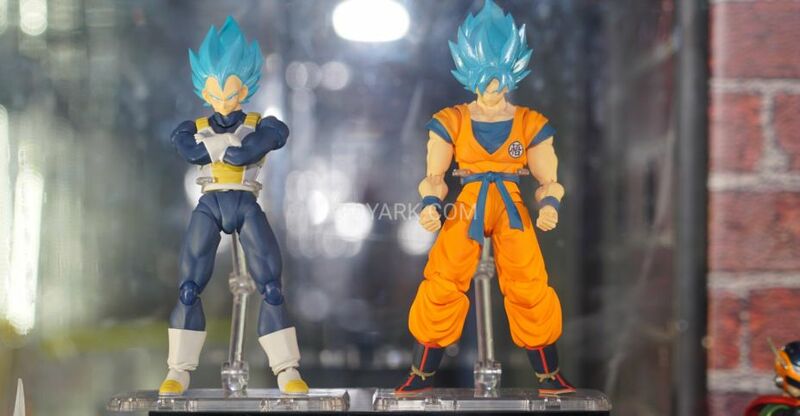 Figuarts and FiguartsZERO on display from Tamashii Nations at New York Comic-Con 2018. Check out 100+ photos after the jump. Tamashii Nations has added the product page for their newly announced S.H. Figuarts Dragon Ball Kid Krillin Figure. The figure debuted over the weekend, along with a Pole Accessory giveaway for Goku. 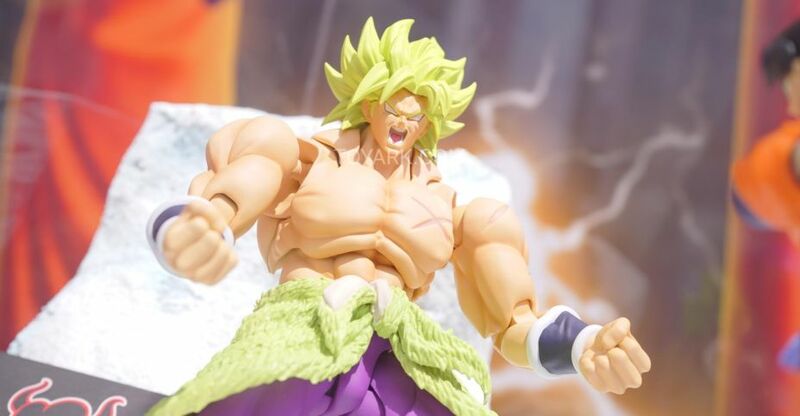 The figure will include a number of interchangeable hands, swap out face parts, a Kamehameha effects piece, a Dragon Ball and more. Kid Krillin will stand just under 4″ tall. Pre-orders for the figure will open in Japan today. 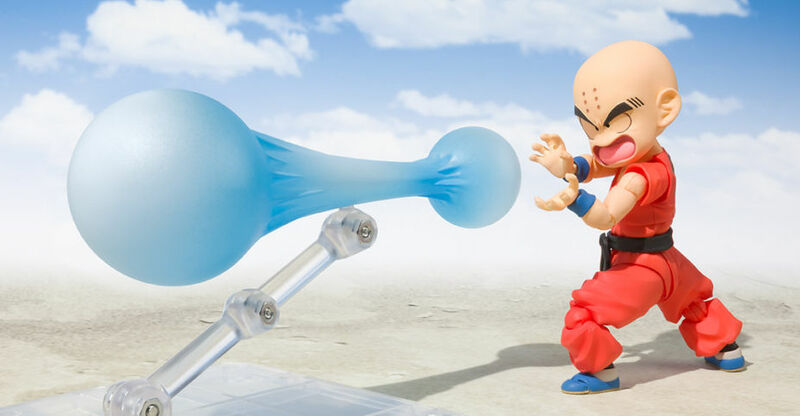 Kid Krillin will be released in December and will be priced at 5,184 Yen (about $47 USD). Click the headline of the story for all of the photos. S.H. 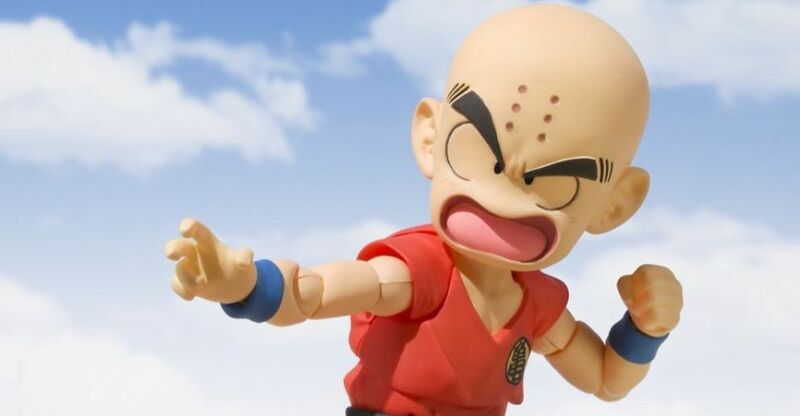 Figuarts Dragonball Updates – Kid Krillin Incoming! Tamashii Nations have teased out details on the next Dragonball figure to be revealed, and it looks like kid Krillin from the original Dragonball! If it winds up being him, he should be in scale with the kid Goku and Master Roshi that are out of scale with the rest of the SHF line, but work together to emphasize the look of the original manga and cartoon. On top of this reveal, there is also an update on the Dragonball Tour. For those that purchase any Tamashii Nations Dragonball items at the Tour stops (excluding exclusives), you’ll receive a Power Pole accessory that works with adult Goku. Artwork for the upcoing Dragonball Super movie shows Goku using his Power Pole again, so this is a cool new add-on. The first Dragonball Tour stop is SDCC 2018 next month, and there are 7 total throughout North America. You can check details here! Read on to check it all out! Update: full image revealed! He’s due out in December in Japan, which means February-ish in the U.S. Stay tuned for more details! They’re scheduled for a March 2016 release. They will be priced at 500 Yen each (about $4 USD). Read on for the images. Rock the dragon – Dragonball Z! This year’s lineup at the Bluefin Tamashii Nations booth did not disappoint with a full array of figures from the popular S.H. Figuarts line of offerings from the cult-classic Dragonball Z franchise. There was a lot on display – here’s the cheat sheet! Check out all the images, including the gorgeous diorama displays, after the jump! SH Figuarts Krillin was revealed back in May and was seen not too long ago in a SH Figuarts Dragon Ball Z display at New York Comic Con 2013. 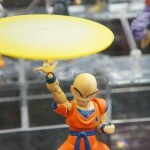 SH Figuarts Krillin has been released in Japan and we have some in-hand images thanks to hacchaka. It comes with affect parts and numerous swappable faces. For fans of Dragon Ball Z and SH Figuarts, this figure has been a long time coming. We’ve mirrored a select number of images, read on to check them out! Hey Vegeta. Vegeta. Vegeta…The awesome levels are over 9000 at the S.H.Figuarts Dragon Ball Z display! 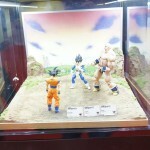 Krillin takes center stage in the display surrounded by the likes of Goku, Cell, Vegeta and others. Good news, he hasn’t been killed yet! Check out gallery and share your thoughts on these awesome figures after the break. More are shown, and they can be checked out after the jump.